Search/Resources Major Oral Surgery Concerns? It is natural to be concerned when considering major oral surgery for your pet. These fears are due to the unfamiliar nature of the pet's problem. Major surgery is particularly a difficult consideration for elderly and dear companions. Perhaps life's experiences shared between family members and friends, or your own experiences with pets, generate additional concerns. The human-animal bond is different for each person, and typically, it is very strong. There are times when family and friends may have a drastically different opinion on whether you should proceed with major oral surgery for your pet. 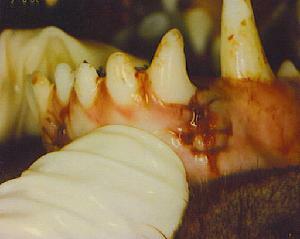 Guilt feelings may even be experienced from discussions with others regarding major oral surgery for your pet. We will provide a dental and oral surgery consultation to help you through these feelings by providing accurate answers to all your questions from our clinical experiences. With accurate information about the underlying problem and the treatment prognosis, the best decisions can be made. The initial surgical consultation with the information below, can help tremendously! This is your opportunity to get the information you need to make good decisions. It is good to take your time; however, extended delay in treatment can eliminate successful outcomes. Common questions owners ask us are listed below. 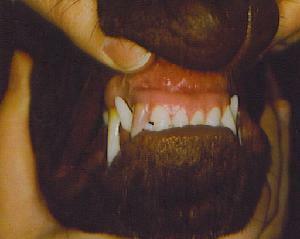 The answers are based on our clinical experience with animals having a variety of problems requiring major oral surgery. Is major Surgery the correct choice for my companion? The answer depends on many factors; however, if trauma has occurred, major surgery may be life saving. Patients that have oral and maxillofacial tumors may also have life saving surgery. It is very important to thoroughly evaluate these patients before deciding on major surgery. Dr. Kressin can provide CAT scans or MRI imaging, and with help of a radiologist and an oncologist, the optimal choice for treatment can be determined. 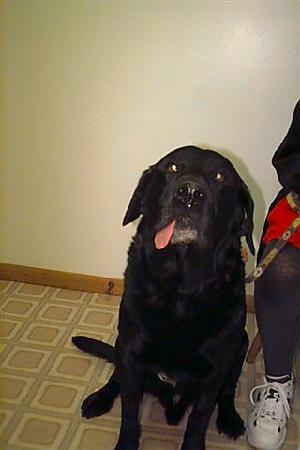 We then can work as a team with you and your veterinarian, to make these difficult decisions. Will the surgery cause pain and discomfort for my pet? Once you have decided to have oral surgery treatment for your companion, pain prevention is considered very carefully. Please read the following to understand the best approach to manage pain. The recognition of pain can be difficult for a several reasons. We know that animals try to hide pain from us as a natural protective instinct. We also fail to understand our animal's communication of pain. Most pets that require major oral surgery have moderate to severe pain from their underlying problem such as: CUPS, feline stomatitis, jaw fracture, oral tumors or TMJ fracture. Some conditions requiring major oral surgery are less painful such as the: dentigerous cysts, open mouth jaw locking or TMJ ankylosis. Dr. Kressin believes that any medical condition or surgical procedure that might be painful for humans, is definitely painful for pets. It is our obligation to eliminate, or minimize pain for our animals! We do this before, during and after surgical procedures using a "balanced" approach to anesthesia. In planning anesthesia for the surgery, the current pain status and the anticipated surgical procedure are considered when choosing pre-operative, intra-operative and post-operative pain medications. Every attempt is made to eliminate or minimize pain. Many clients have been impressed that their pets seem less painful very soon after major oral surgery. Will my pet be able to eat, and how soon after surgery? Most pets will be eating food within 6-12 hours after major oral surgery. It is advised to feed small portions of food every few hours for the first 24 hours after surgery. What will my pet be able to eat, and how frequently do I feed them? 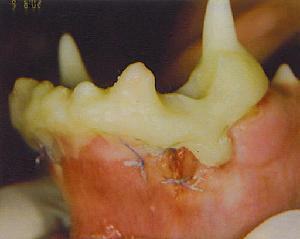 In most cases, sutures that dissolve are used for major oral surgery. We advise the use of canned food or moistened kibble after surgery for a period of 10-14 days. It may take time for your pet to adjust to changes created from the surgery when eating. It is usually helpful to encourage pets to eat from your hand after major oral surgery to get through the adjustment period. There will be some messes associated with salivation, lapping of food and water. What will my pet look like, and will there be disfigurement? The pet's appearance after major oral surgery of the lower jaws is remarkably close to normal, even after mandibulectomy procedures. 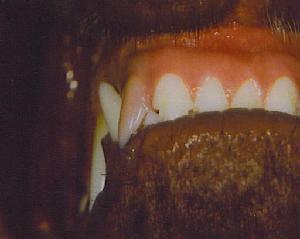 The tongue may hang out of the mouth where bone has been removed (see clinical photos below). In time, this may become less noticable. There may also be an increased flow of saliva after major oral surgery. Occasionally, some pets will have facial swelling which typically resolves without treatment within a few weeks. A clicking sound is common after partial mandibulectomy procedures due to the upper and lower teeth comming into occlusion when closing the mouth. In most pets the clicking sound becomes dramatically reduced or goes away after a few months. Patients having condylectomy appear very close to normal. 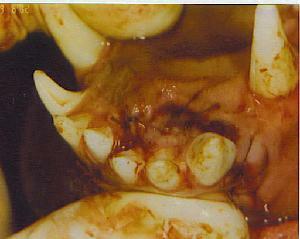 This is because the mandibles remain in a near normal position due to the mandibular symphysis stabilization. For patients with maxillectomy, there may be a slight narrowing appearance of the nose. Many of these surgeries are not noticed by family and friends. What can I expect from surgery for my pet? Expectations from surgery and the surgical prognosis are dependent on the procedure performed, and the underlying problem. Most pets recover rapidly from major surgery within 24 to 48 hours. Many seem nearly unaffected other than mild sedation. Will I need to provide nursing care for my pet? Most pets do not require nusring care other than love, attention and hand feeding after major oral surgery. Some surgical procedures involve the placement of feeding tubes to ensure the pet receives food, water or medication prescribed. Written instructions for feeding tube management will be provided in these cases. Keeping the feeding tube clean and feeding at appropriate intervals, are the fundamental responsibility of the owner or caretaker. Few owners find feeding tube management difficult or inconvenient. If nursing care is needed and an owner cannot provide this care, the Lakeshore Veterinary Specialists or the Milwaukee ER for Animals can help with problems or completely provide the needed services. What will the recovery period be? The recovery period is usually two days or less. The cost of major oral surgery is based on several factors. It is based on time, materials, patient monitoring and technical help required. Please see the fees for services section for additional information. Can I make payments for the surgery? We enjoy being able to say yes, whenever possible. Payment plans are available though carecredit. Please see our hospital policies as well. Our relationship with you and your veterinarian continues after surgery has been completed. We are highly committed to help you, and your veterinarian, in every possible way. 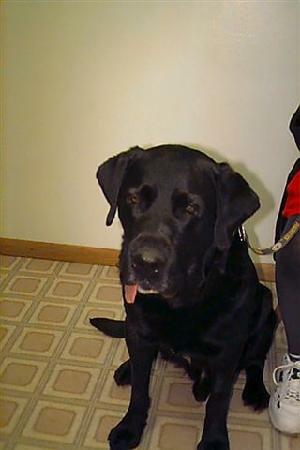 If you have questions about your pet after surgery, feel free to call 920-233-8409. If Dr. Kressin is not availavble, you may call the Animal Emergency Center and Specialty Services at 414-540-6710 for advice and help. A no charge recheck exam is provided two weeks after oral surgery. If additional procedures are needed, there would be additional service fees. The need for additional services are uncommon or rare! Clinical photos from major oral surgery cases. Left side view two weeks after surgery. Two week follow up after left mandibulectomy. an oral malignant tumor. Age 14 yrs. is not viewable when he is called. between the first and second molar teeth. 1 month after partial mandibulectomy. left side. For a malignant oral tumor. 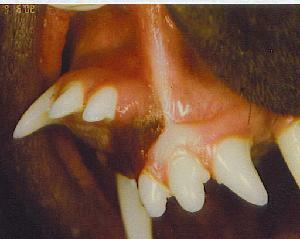 Both mandibles were fractured during dental extraction of both lower canine teeth. This family was very pleased with the decision to perform major oral surgery. This owner stated that her pet's pain from the fractures were intense, and he was unwilling to eat any food for three days. The pain was immediately eliminated after the mandibulectomy surgery was performed. This dog ate when she got home from our care. Melanoma in 16 yr lab. Malignant oral tumor of right mandible. Two week surgical follow-up view. Maxillary and incisive bone fracture. 4 weeks later, the splint was removed. pleased to have avoided the maxillectomy surgery. fractured incisive and maxilla bones. Notice the normal functional occlusion. was treated by removing the mandible (lower jaw). very good and his activity fantastic.